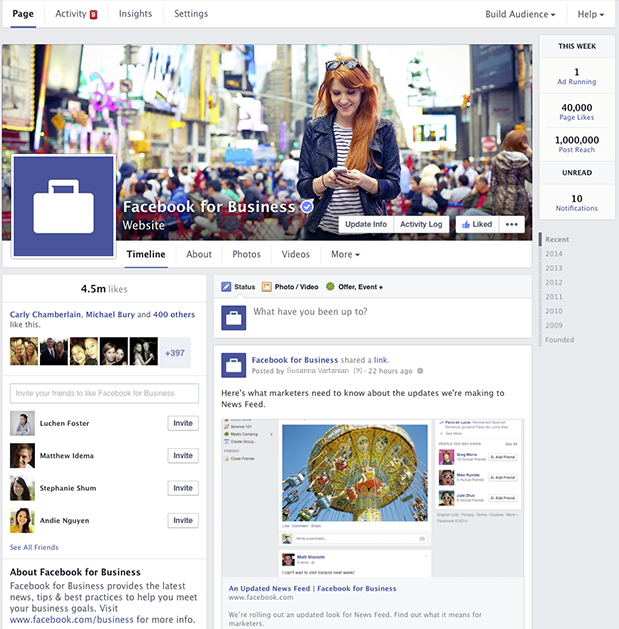 On Monday Facebook introduced a new layout for Facebook Pages. Updated Timeline will display all posts consistently in one column on the right side of the page leaving left column for information, thus making pages appear more similar to personal profiles. While the new streamlined look that simplifies pages is surely change for the better, marketers and page admins immediately raised their concern about what will happen to page tabs that seem to have vanished from the new layout. After the initial shock caused by their absence in the new layout, it was soon revealed that in the future the tabs would be accessed from “More” drop-down menu located in the footer under the Cover Photo. This was clearly a setback for brands that have invested time and money in creating customized tabs with eye catching thumbnail images that were often utilized to make the page look unique visually. Unsatisfied marketers and page admins voiced their disappointment loudly when they realized that their precious tabs that are mostly used to host apps such as competitions, contact forms and content feeds were going to be buried behind extra clicks. After a few days of fierce conversation about the importance of tabs, it seems like that for once Facebook has managed to take the negative feedback into consideration since the sharp-eyed viewers noticed that a section titled “Apps” hosting the page tabs with thumbnail images had suddenly appeared on the left column of Facebook’s own business page which is used to preview the new page layout. This section was not included in the initial pictures that Facebook used when they introduced the redesign of the pages. One can’t help but draw a conclusion that this section was never included on Facebook’s original plans and was added in response to enormous amount of negative feedback. Personally I think that the whole fuzz about the tabs is somewhat over-exaggerated. I do get that some of us are worried about losing the only way to customize our pages visually and I do think that the way tabs are currently displayed is better than the one in the new layout, since they can be easily paired with call-to-actions in Cover Photos. Still, one should really stop to think about the role and viability of tabs before losing their sleep over the upcoming change. Sure, fancy tabs are important when it comes to first impressions and some traffic might be generated to them when people visit your page for the first time, but when you think about your own behavior on Facebook you’ll soon realize that after linking a page you rarely come back for another visit. This means that the interaction between brands and their fans occurs on the News Feed where Facebook users spend the vast majority of their time thus not actually seeing the page tabs. In addition, customized tabs have been previously supported only by the desktop version of Facebook meaning that they have been no-good for the majority of your fans anyway since the fast increase of mobile usage of Facebook. Page posts and ads have been the best way to drive traffic to tabs long before the current redesign, but their importance will be increased as soon as the new layout rolls out, since the focus will be heavily shifted to the News Feed. In the future brands must be even more aware of what they want to achieve with tabs and what kind of solutions generates the best results, since it’s inevitable that they have spent part of their Facebook advertising budget to promote the tabs if they want to generate real traffic to them. As it stands out the new layout surely has its positive and negative sides, but when it comes to tabs, only time and numbers will tell what kind of effects the changes in the page layout will actually have on them.